Above normal temperatures, plus low humidity and wind mean fire danger, but we have a big cool-down in store this weekend. 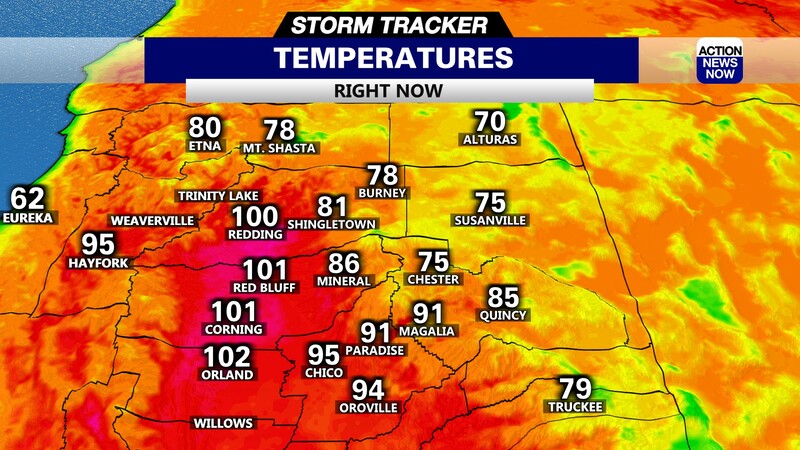 Chico, Calif. -- Unseasonably warm temperatures continue this week, hitting highs today and Wednesday at about 10 degrees above normal for this first week of Fall. Gusty northerly wind continues today so although the Red Flag Warning expires at 5 p.m. We're still not in the clear when it comes to fire danger. A ridge of high pressure is building today into Northern California today into Wednesday, keeping the skies sunny and temperatures continuing to warm. 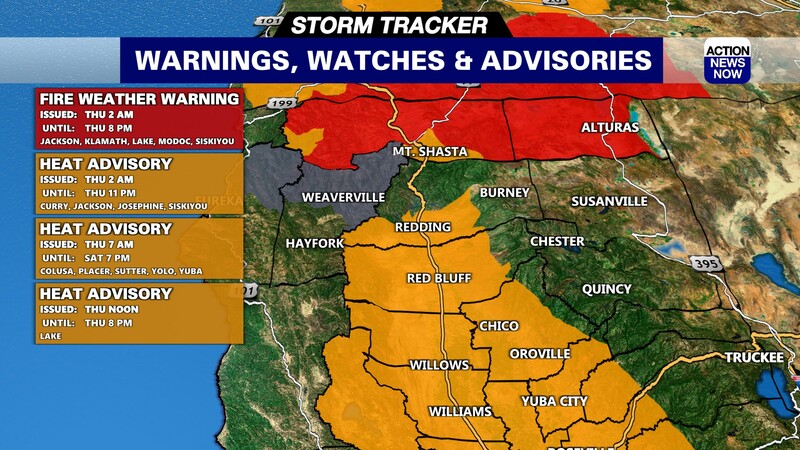 We're still seeing breezy conditions with the strongest wind expected in northern and western portions of the Sacramento Valley, northeast foothills and western Shasta mountains - similar to yesterday with sustained local winds at about 10-15 mph, gusting up to about 25 mph. We'll see that calm down a bit, though we could see some overnight gusts into tomorrow morning in Shasta County and the foothills. That high pressure loses it's strength by mid-day Wednesday, the hottest day of the week, with a chance for triple digits in the North Valley. Thursday stays about the same, dry and hot, and then on Friday a deep low upper low approaches. Valley with 60s to lower 80s for the mountains and foothills. That low pressure center will push onto the coast Saturday afternoon. This will bring significantly cooler temperatures, with highs topping at 5 to 10 degrees below normal. There's a chance for some rain over the coastal range and northern mountains Saturday afternoon and evening. 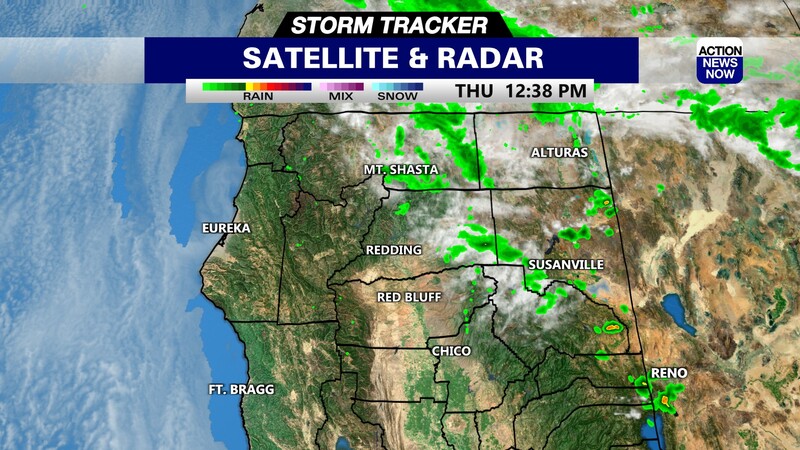 The storm shift northeast Sunday and that's where we could see some showers over Shasta County.